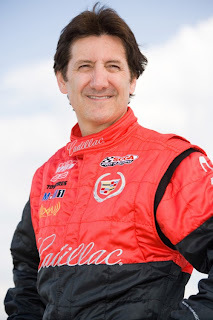 One of the most decorated drivers in Canadian auto racing, Ron Fellows career accomplishments have span through the SCCA Trans-Am, American Le Mans and NASCAR. After three American Le Mans Series Championship, two 24-hour of Le Mans wins, and a Rolex 24-hour of Daytona victory in 6 glory years building with the Corvette Racing team, Fellows has operated in an advisory position with the Corvette Racing program for the past 3 years. While Ron Fellows continued to make appearances in NASCAR road races, including a grand hometown triumph in the 2008 NAPA 200 NASCAR Nationwide Series round at Circuit Gilles Villeneuve where he became the only Canadian driver to win a modern era NASCAR major event on a Canadian race course. Settling into a semi-retired role in racing after more than 25 years in competition, 2010 will see a break in his sabbatical from sports car racing. For 2010, Ron Fellows has committed himself to return to a Chevrolet Corvette race car in the SCCA-sanctioned World Challenge GT Championship for CRP Racing. Driving a #2 Chevrolet Corvette C6, the Carlisle Companies Inc will be worn as the team's primary sponsor through the 8 visit sports car racing tour. Entering his first full season with the series, Fellows is no stranger to the World Challenge GT Championship. Previously driving a GM-backed Cadillac CTS-V sedan in the World Challenge series between 2004 to 2007, Fellows has recorded 3 victories limited stints inside the series. Within the 2010 SCCA World Challenge GT Championship, Canadian race fans can see Fellows live in action first in a doubleheader race weekend May 21-23 at Mosport International Raceway. Ron Fellows will later return with the tour when the World Challenge cars take to the streets of Toronto during the 2010 IRL/IZOD IndyCar event in mid-July.